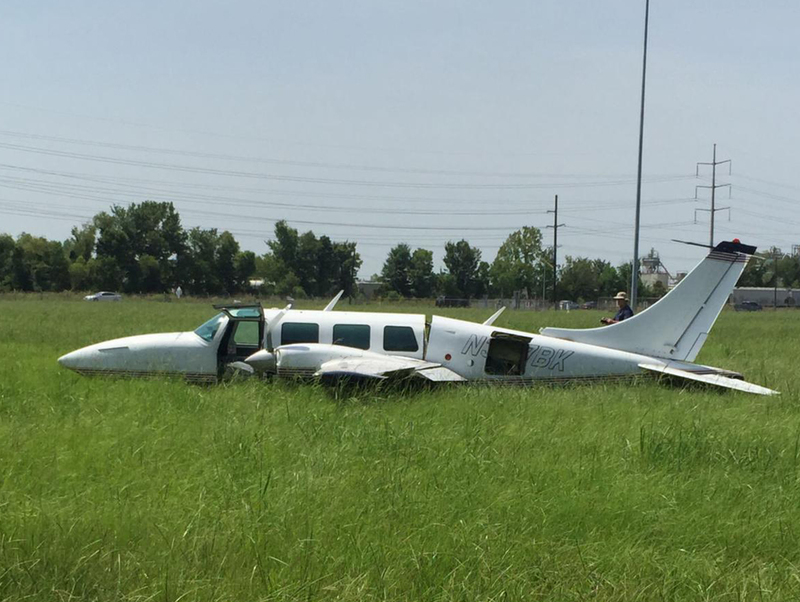 The airplane experienced a loss of engine power and landed in a field after takeoff from Baton Rouge Metropolitan Airport (BTR), Baton Rouge, Louisiana. The commercial rated pilot and one passenger were not injured and the airplane sustained substantial damage. 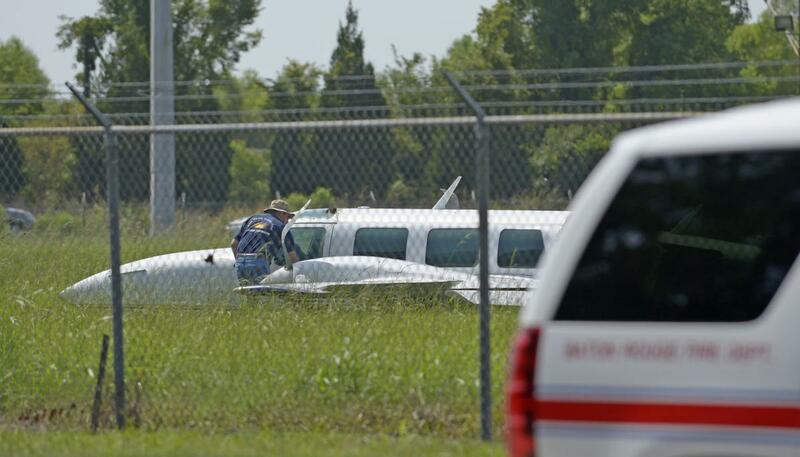 The airplane was registered to and operated by the pilot under the provisions of Title 14 Code of Federal Regulations Part 91 as a maintenance check flight. Visual meteorological conditions prevailed at the time of the accident and no flight plan had been filed. The local flight was departing at the time of the accident. A review of the air traffic control recording revealed that the pilot requested to takeoff from runway 31 and fly one time around the traffic pattern for a maintenance check. The air traffic controller stated that the airplane dropped below the tree line after takeoff and was unable to reach the pilot on the radio. 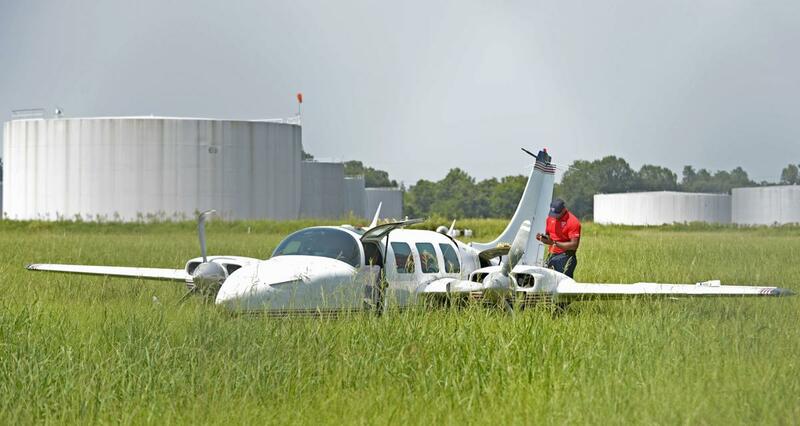 The airplane made a hard landing into a grassy field located about a mile northwest of the departure end of runway 31.